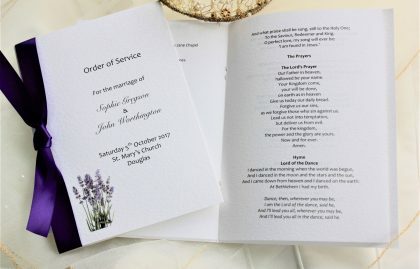 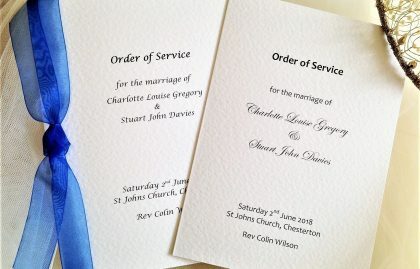 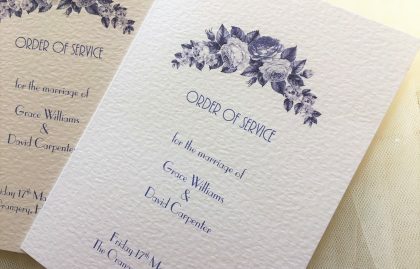 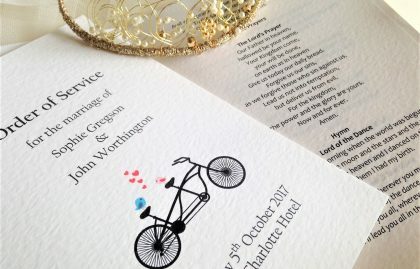 We supply order of service books for weddings including a Catholic Wedding Ceremony, Church of England Weddings and Civil Ceremonies. 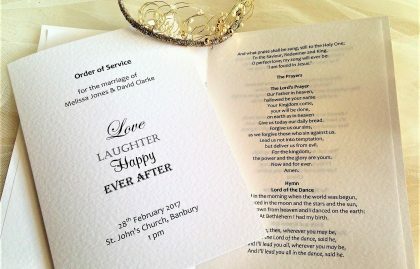 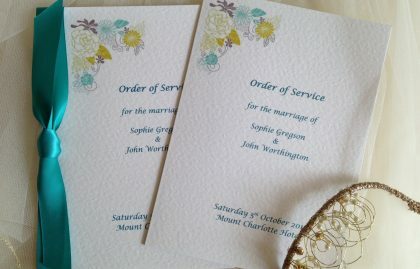 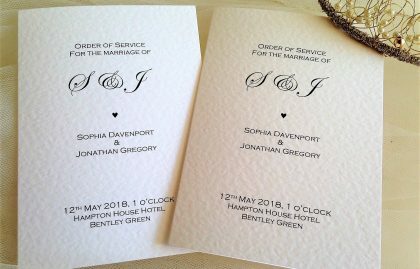 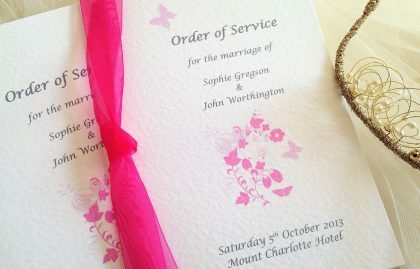 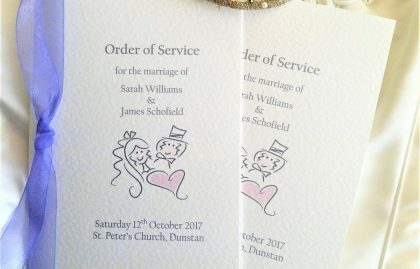 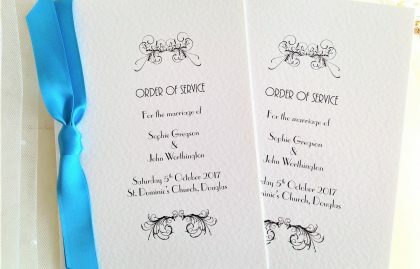 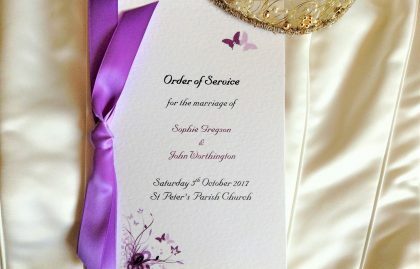 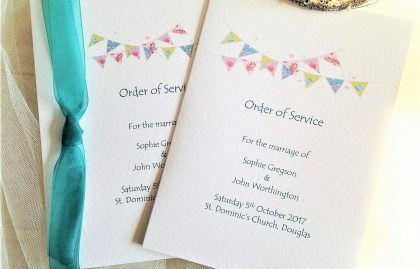 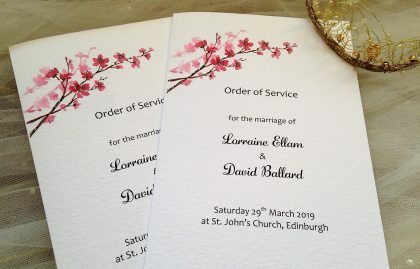 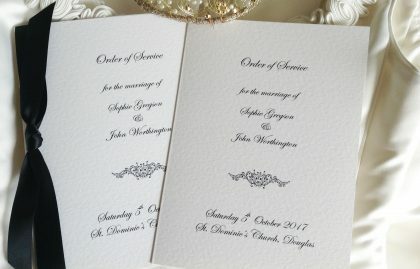 Our larger order of service books for weddings are A5 (A4 when opened) and are available with or without paper inserts and ribbon. 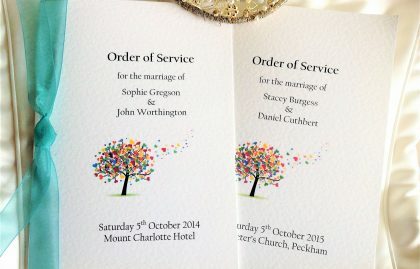 Depending on the length of your service we can offer books with a 4, 8 or 12 page insert. 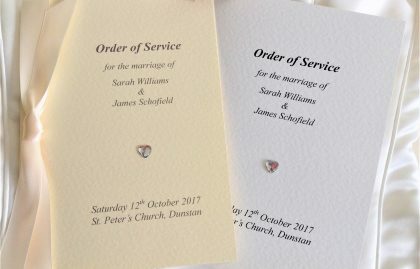 Top quality order of service books produced on a thick heavy weight hammered card (270gsm) with hammered paper inserts (100gsm) to match.